Affordable, low maintenance landscaping so you can take back your weekends! Never mow, water, or fertilize your lawn again! Design Turf can replace lawns that are difficult to grow and maintain. 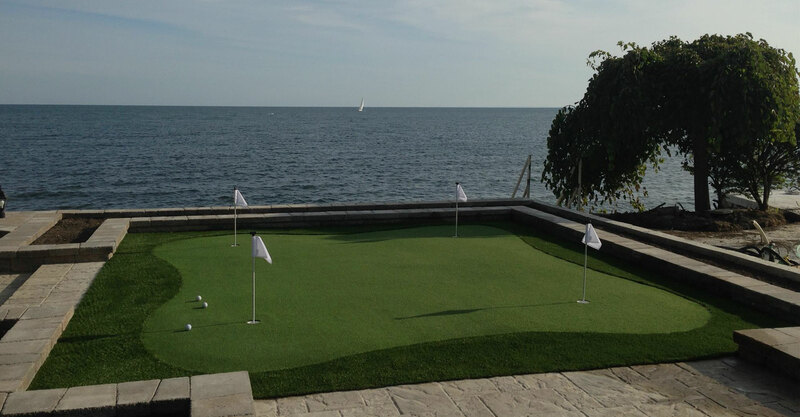 You won’t be able to tell the difference between our artificial putting greens and the real thing. 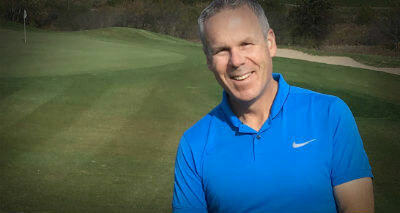 Take it from PGA member Shawn Clement. Turn your playground, backyard space and common areas into safe, comforting and clean areas free of mud. Cutting edge technology and noticeable softness sets us apart from our competitors. Design Turf exclusively sells ProGreen artificial turf, made 100% in the USA. With the introduction of ProGreen’s exclusive diamond blade technology, we gain strength in the blade, while still maintaining our unique Supersoft™ technology. Combining this technology with “thatch" fibers that keep the blades of grass standing upright gives you noticeable softness and the most realistic looking artificial turf on the market. We are the only company to offer Supersoft™ fiber technology which enhances the softness of the artificial grass blades while still ensuring the tensile strength and overall integrity. ProGreen has devoted extensive research and development into all their products, resulting in durability and performance than cannot be matched. This includes our newest PROKOOL technology that reduces the surface temperature of the turf by up to 22 degrees. No other artificial turf products can match the look and feel of ProGreen products. Following an international tactile test amongst 3 leading synthetic grass products, when asked, “which one feels the softest?” our new Diamond blade was chosen 100% of the time. 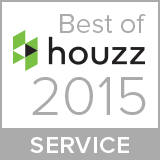 Design Turf has completed countless installations over the last two decades. Visit our gallery to see several examples.. If you are looking for inspiration for pet friendly turf, landscape grass, playground grass or backyard putting turf you will find it all here. 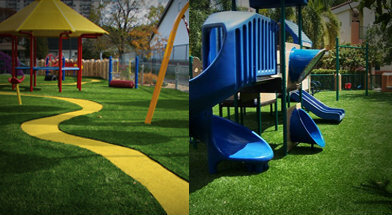 Design Turf is very active in the Toronto and GTA surrounding area. Watch us in the news. Quality is everything when it comes to artificial grass. Not only are we 100% made in North America, we use superior materials meaning a better, safer product for you. Increases drainage by 400% providing many benefits to you. We are the first fully integrated polyethylene turf company in North America. Increases drainage rate by approx. 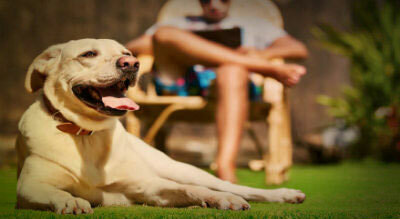 400%, the turf will be cleaner, drier and free from any unpleasant pet odors. Extensive research & development for example, PROKOOL technology, lowers surface temperature by 22 degrees. When it comes to installation and performance we have the know how and track record you can rely on.